1. If you’ve heard about the new pizza place that tastes like Pizza Hut, this is the one. 3. Of course, eating it fresh out of the oven is best. But you can order for delivery by phone or via the Jumia Food app on your phone (full article coming soon!) which also means (score!) no speaking French over the phone. 4. It’s owned by the same parent company as Southern Fried Chicken, so at the Ouakam location you walk in and go left for chicken, right for pizza. But the eating area upstairs is shared. 5. Their cheese is delicious. And the same supplier as Domino’s Pizza international. I know, right? 6. The menu is fairly small and Americans may freak at the idea of tuna on pizza, but still with the cheesy margarita or the ham & ‘shrooms of the Romana and you’ll be fine. 7. No pork. And for now, there’s nothing like pepperoni on the menu, but they are working on a beef sausage! 8. The crust is about like a hand-tossed in the US. But not greasy or heavy. 9. The owner welcomes feedback! Previous Dakar Farmers Market on April 1st! 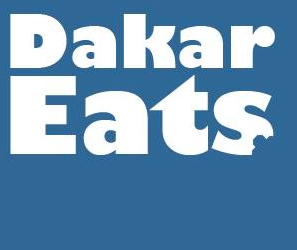 This is the best place in dakar….